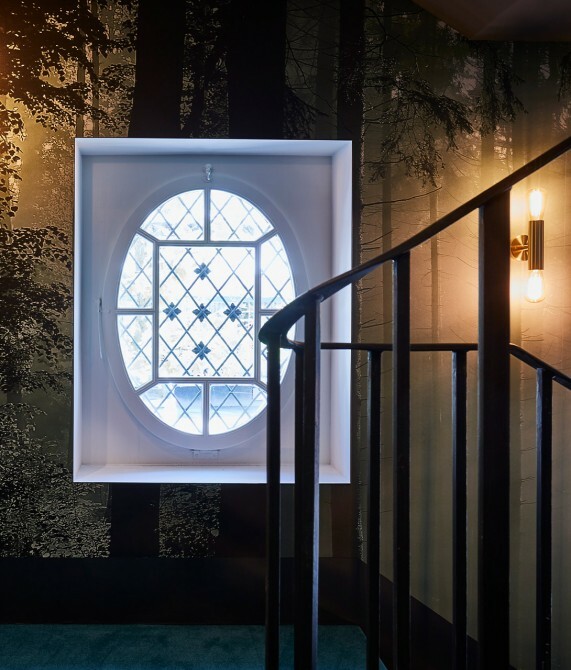 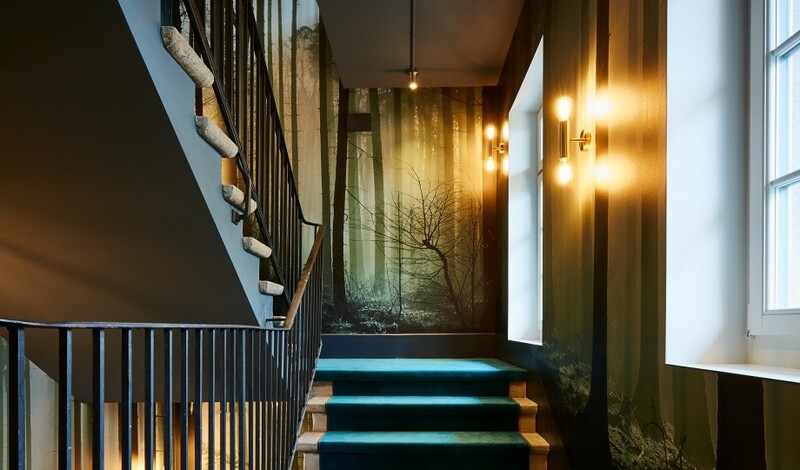 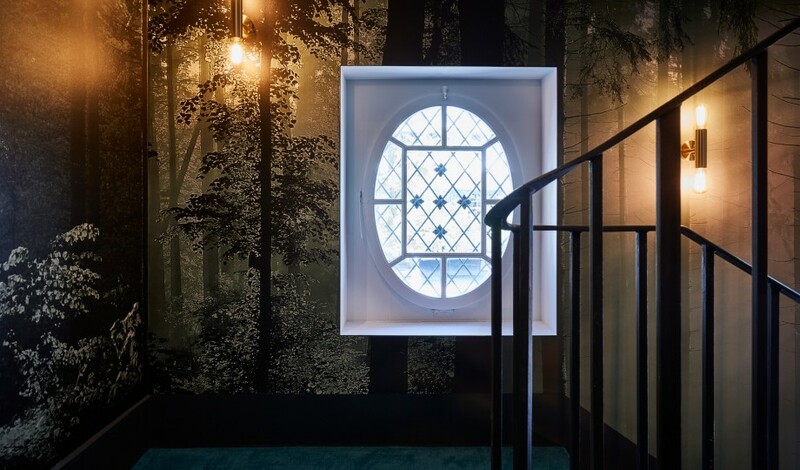 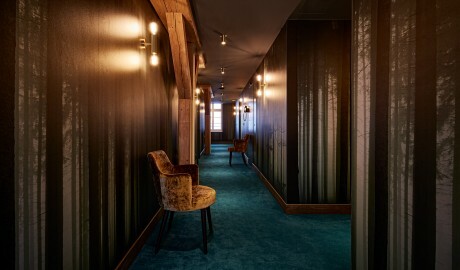 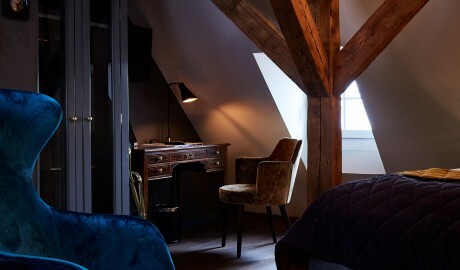 —A Swiss city hotel with a Manhattan look, a family feel, and Old World tradition down to its ancient, oak-beam bones. 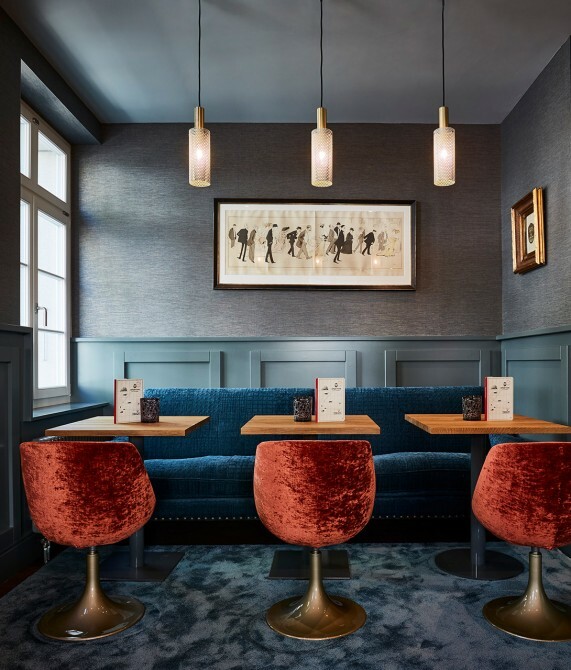 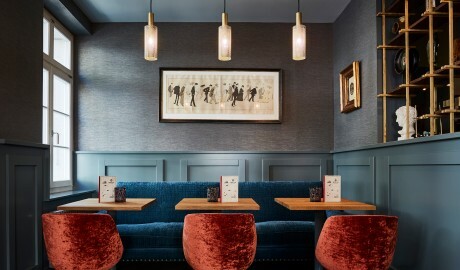 Once home to a cheese, fur, and leather-trading company, the newly transformed, boldly presented, and utterly stunning Spedition pays homage to its 19th-century past with 120-year-old exposed oak beams that are now juxtaposed by sophisticated, mid-20th-century design. 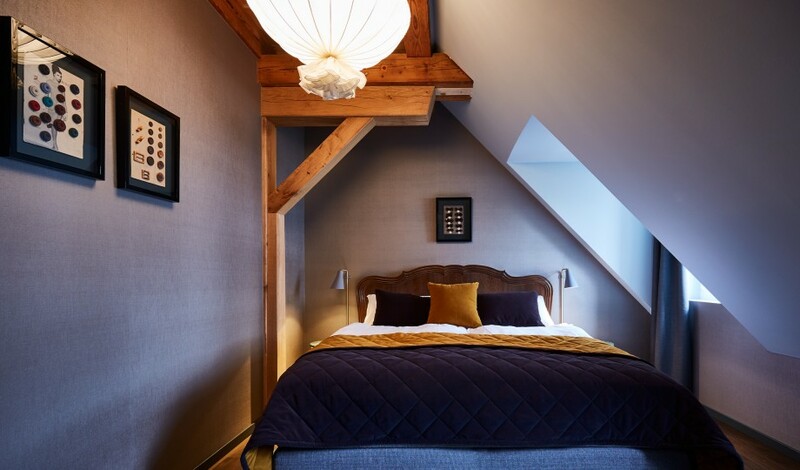 Set in the Swiss city of Thun, with its sweeping Alpine views and inviting lake, the 15-room Spedition uses earth tones, wood, cotton, and linen to create a cozy yet citified retreat. To fully appreciated the warm, social spirit at the heart of Spedition, one need only venture to the multiuse cellar where cheeses once ripened. 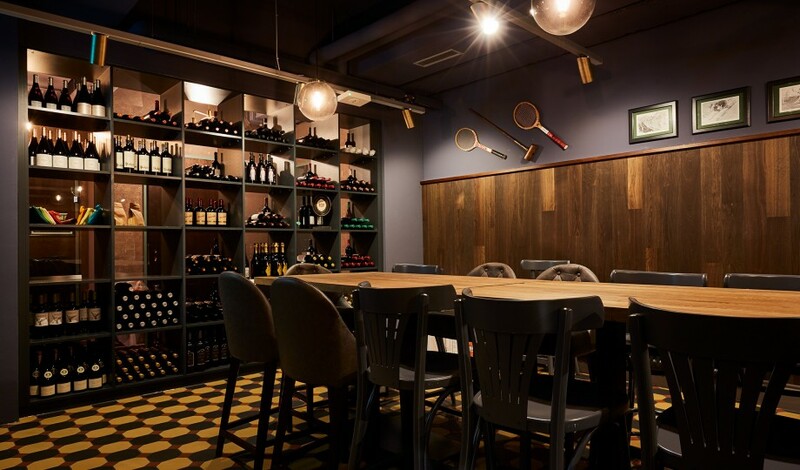 Here, one finds a long table for friends and family who come to enjoy the fine wines that surround them, take a cooking course, or experience culinary delights from the hotel’s restaurant. Indeed, the Spedition restaurant is a showpiece in its own right and features an open kitchen with a statement antique chopping block; a long, welcoming bar; and Swiss international fusion cuisine that includes matured-in-house meat. 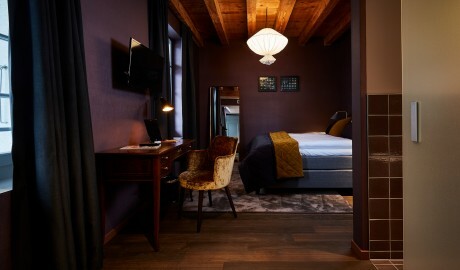 Old, new, and wholly unique—Spedition brings big-city sophistication to a beautiful Swiss setting. The 15 guestrooms range from 15 to 21 square meters, and all offer city views, an in-room tablet, and a bathroom with a shower and organic toiletries. 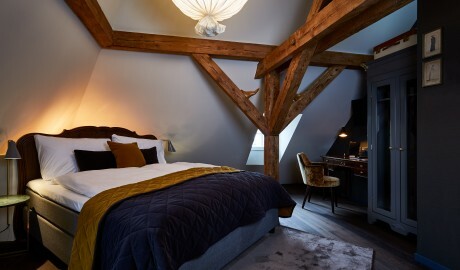 The 19-square-meter Double Room and 21-square-meter Junior Suite both feature a king-size bed or twin beds, while the 15-square-meter Single Room is perfect for the solo traveler. Earth tones, massive oak beams, and warm cottons and linens create a beautiful, inviting atmosphere at Spedition. 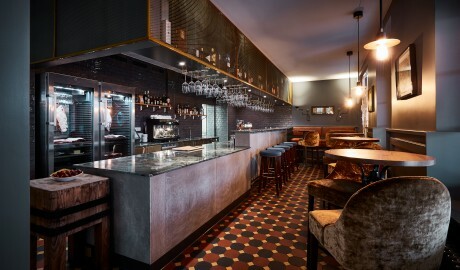 An historical monument, the building that houses Spedition today is more than 100 years old and modeled on a patrician villa. Set in the heart of historic Thun, Spedition offers views of the imposing Thun Castle and is just a few steps from Bälliz, one of the city’s main shopping streets.